William E. Scheuerman is Professor of Political Science and West European Studies at Indiana University. "An excellent corrective to the simplistic realism so often taught to students of international relations at both the undergraduate and graduate levels." "Stimulating and thought-provoking ... all those interested in contemporary, “policy-driven” debates on global governance should read it." "This fusing of radical and Realist ideas remains the most intriguing development in international theory of the past decade." "Very persuasive ... undoubtedly a rewarding read." "This book offers fresh insight into a school of thought largely seen as unyielding, and offers renewed hope to the concepts of global reform and postnational governance." "A challenging account of how realism can influence existing international relations, which have undergone a major transformation in recent decades." "A really provocative read - very much a book in the best Polity tradition. This is an intellectual winner, and deserves to have an impact." "The Realist logic of world government has been substantially enhanced by William Scheuerman in this thorough and well-written analysis. No one can now deny that the intellectual founders of contemporary Realism were far more willing to look beyond the interstate system than their Neorealist successors." 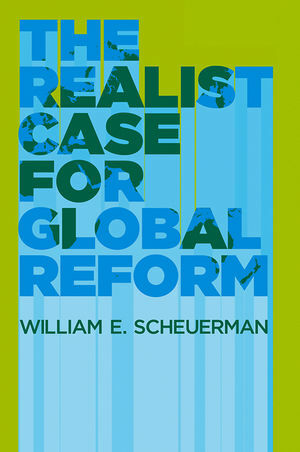 "Scheuerman's brilliant presentation of classic Realists as proponents of a Progressive Realism radically transforms the way in which we can and should understand the Realist tradition, and links Progressive Realism to advocacy of a form of world government that is a welcome alternative to an anemic ‘governance without government'."